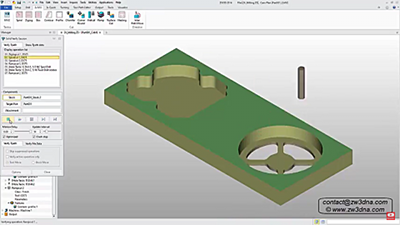 CNC Software from CADDIT Australia. 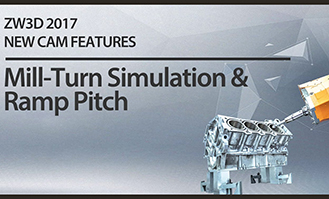 Full 2.5x, 3x and 5x Toolpath, Tool Simulation and Editing. "When attendees were informed them of the versatility of the ZW3D solution and more importantly the price of ZW3D; people couldn't believe the value ZW3D offered." "Productivity is as important as price. When I first time came across this software, I was very impressed by the great value that it can offer. The software is extremely easy to use and very powerful. Our tooling design and machining process has been greatly improved and can now be completed in less than two weeks. We are quite confident that the software can help shorten the production period further to one week or even less." Computer Aided Manufacturing for everyone! ZW3D from CADDIT offers powerful 3D CAD with import editing and CNC programming capabilities normally found in packages costing thousands more. With ZW3D users can import files from a wide variety of other systems, such as Solidworks, Inventor, Creo, CATIA as well as traditional STEP, IGES or DXF files - or users may simply create new projects using ZW3D best-in-class hybrid modeling technology. ZW3D 3X Machining offers full 3D sheet metal design and nesting, 2 axis prismatic machining, 2 axis lathe, 3x high speed CNC up to complete five axis control. ZW3D CAD/CAM is available in Australia from CADDIT or any CADDIT network partner. ZW3D - simply efficient and economical. ZW3D Can Import Your Existing 3D Projects. ZW3D can directly read and edit 3D model geometry from: AutoCAD, progeCAD, Single Part and Assembly formats from Inventor ipt, SolidWorks sldprt, CATIA, CREO, Solid Edge, Siemens NX .PRT and .JT formats, as well as industry standard STEP, IGES, DXF (2D and 3D), STL mesh, XYZ Point Cloud and more. ZW3D extensive DIRECT EDIT tools can edit imported geometry directly without installation of the originating software. Additional 3D model healing functions allow users to automatically fix problem models and close gaps. ZW3D 2.5X Prismatic Milling. 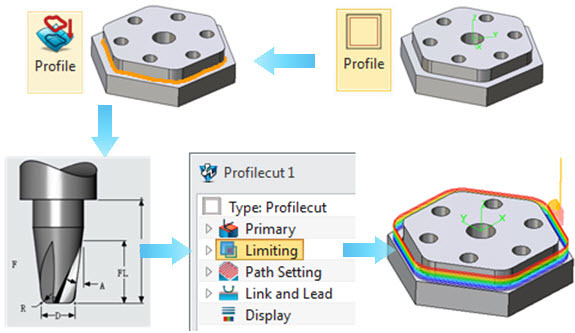 Sometimes refered to as "2.5X Milling", ZW3D 2X CAM offers Prismatic CNC Milling for even modest budgets, and supports all standard and advanced g-code operations such as profiling, pocketing, engraving, standard hole and thread tapping, canned cycles with spiral, zigzag and parallel toolpaths with full backplot verification, edit, stock calculation and post processing functionality. Automatic detection of most hole, slot and pocket features results in possible 80% savings on toolpath programming time. ZW3D 2.5X Machining includes ZW3D 3D parametric CAD and is fully integrated, so there is no need for purchase of additional CAD software. ZW3D CAM 3X Quickmill™. Highly recommended for three axis CNC milling machines! 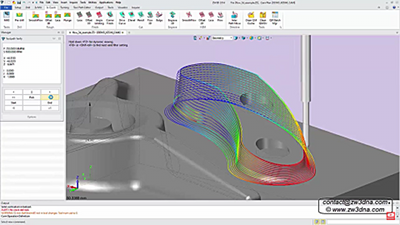 This affordable module combines both ZW3D Quickmill and SmoothFlow™ technologies to deliver a fully integrated, simultaneous three axis milling solution that is both associative and adaptive. 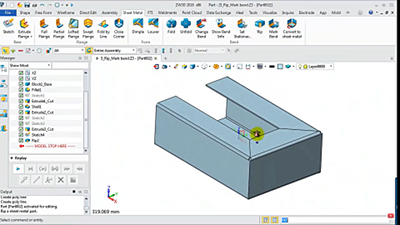 Changes in the ZW3D 3D CAD part are automatically updated in the CNC toolpath. SmoothFlow technology mills cavities and pockets safely and efficiently by maintaining constant material removal during roughing thus extending tool life and reducing machine wear and tear. AFC (Adaptive Feedrate Control) automatically adjust federates based on tool loading to ensure a constant chip load. Higher feed rates are possible without the risk of tool breakage by reducing the radial pressure on the tool spindle, essential for industrial high-speed machining. ZW3D CAD module included. ZW3D Resources for Existing Users..